Doral, FL – Under the leadership of the Mayor and Council, the City of Doral’s comprehensive annual financial report for the year ended September 30, 2017, was once again awarded the Certificate of Achievement for Excellence in Financial Reporting by Government Finance Officers Association of the United States and Canada (GFOA). 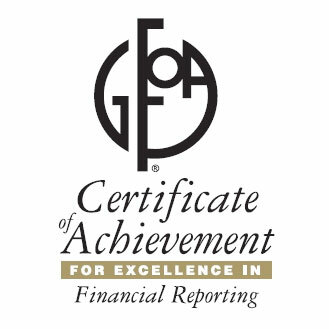 The Certificate of Achievement is the highest form of recognition for excellence in state and local government financial reporting. In order to be awarded a Certificate of Achievement, a government must publish an easily readable and efficiently organized comprehensive annual financial report. This report must satisfy both generally accepted accounting principles and applicable legal requirements. Its attainment represents a significant accomplishment by government and its management. The award-winning CAFR has been judged by an impartial panel to meet the high standards of the program including demonstrating a constructive “spirit of full disclosure” to clearly communicate its financial story and motivate potential users and user groups to read the CAFR. “It is a great honor for the City of Doral to receive this prestigious award”, stated Mayor Juan Carlos Bermudez. “Our City’s fiscal accountability, transparency, and stability has always been one of my top priorities as Mayor and this award demonstrates that we are operating both efficiently and with integrity”.